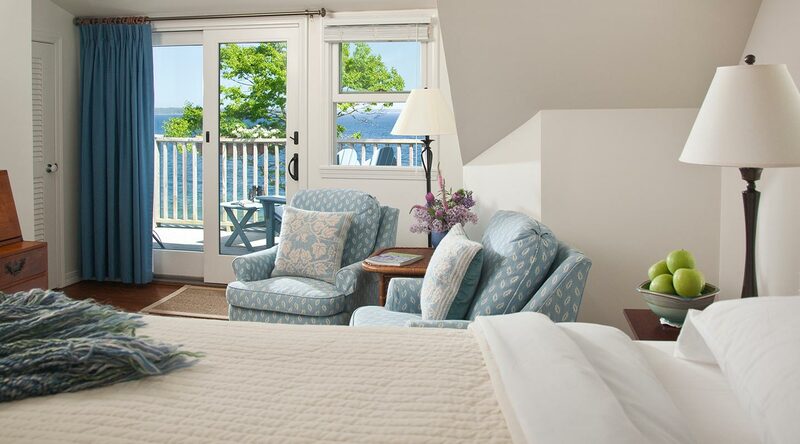 The May Sarton Room is a beautiful, traditionally styled room decorated in soft blues and creams, with a tiger maple four-poster queen bed and dresser lovingly handcrafted by Windsor Chairmakers for our Lincolnville Bed and Breakfast. 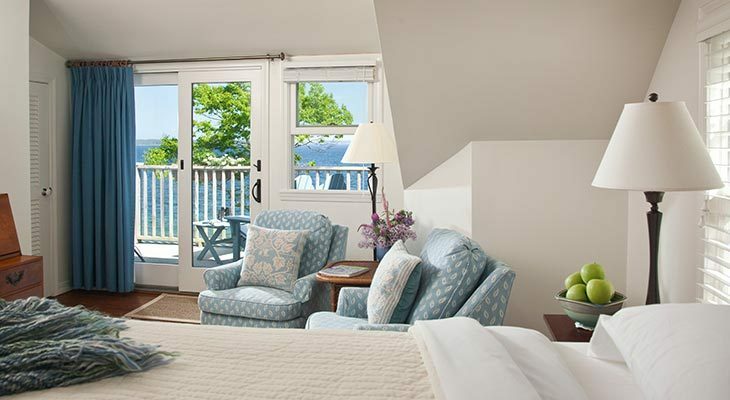 The soothing comfort of this southeast corner room is enhanced by the view and sound of the ocean, which is a stone’s throw away. 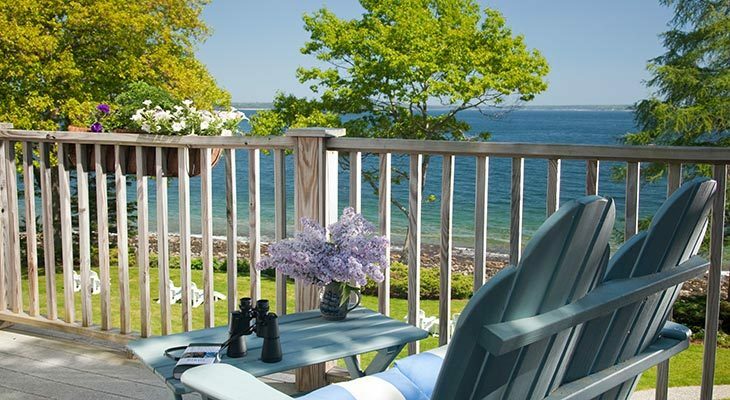 Enjoy the water view from the double Adirondack chair on the private deck. 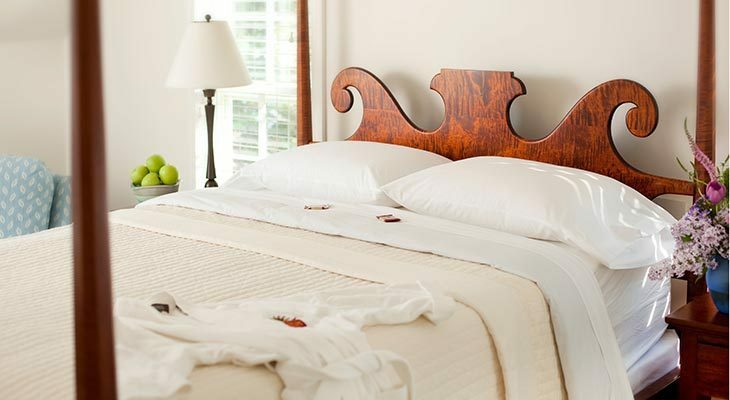 A relaxing and tranquil room, a great place to slip away for a couples romantic getaway.